Ardent is a very popular fishing reel manufacturer that delivers high-quality, highest performing fishing reels at the lowest cost. The quality assurance, engineering, and administration of fishing reels of this company are excellent. All fishing tools of the company are the perfect example of professional excellence. They produce ultimate performing fishing reels at an affordable price. All the fishing reels of Ardent are backed with a 3-year warranty. Thus, the company supports consumers much more than all other competitors in the market. The reel returned for service during the warranty period will be repaired, professionally cleaned, and lubricated. Besides, the company will also upgrade the components and test the performance before returning it to the users. Ardent Apex Elite is ideal for fishing in a lake or stream. The aluminum frame of this reel makes it lightweight, but it offers supreme strength. It has 13 ball bearings, which is ideal for smooth casting and retrieves. The reel has 6.5:1 gear ratio that allows fast retrieves. Bullet-proof construction is the most important feature of Ardent reels. This tradition can be seen in new Apex line reels as well. These reels come with a perfect balance of comfort, durability, and lightweight. High-strength aluminum frames are the specialty of this model. The silky-smooth operation is the other major feature. Elite is the top level reel that comes in Apex series. It has 12 plus one ball bearings. Thus, it can provide you enhanced smoothness and castability. Aluminum spool of this reel is a deep V6061T6 machined. The handle is made by using swept-back carbon fiber. EVA grips on the handle give more comfort. The 270-degree mag brake system makes it really amazing. The weight of this reel is slight 5.9 ounces. Both left and right-hand models are available in this series. Ardent gives topmost importance on casting distance. You can easily make out this fact if you read the bio on each reel. If you can set these reels properly, this reel can outcast any reel on the market. You can cast a lot further if you use this reel. The Elite can easily handle small square bills with slight turning on tension knob. If you have experience in using spinning reels, you can easily understand the relationship of casting and tenability. Both these terms go hand in hand. The Elite allows you cast as far as possible. However, you should set it in a proper manner. The company uses two-part cast control in this reel. Thus, it can provide you maximum comfort. Apex Elite offers an excellent drag system. Thus, you can operate it easily. The weight and size of this product are also very comfortable. So, you will not feel any fatigue even if you use it for a long time. The quality and durability of this reel are also excellent. You may be just entered in the sport of fishing or may be a professional, experienced angler. But, you must be aware of the essentialism and importance of using the correct reel. If you want to succeed in fishing, you must have the right tools. • A reel can be selected on the basis of your style. It can be a free spool, fixed, closed face, or centre-pin. • Then you need to understand your drag system. You can select a front or rear drag. Basically, 4 different styles of reels are available on the market. Some are very versatile and they are used for different fishing styles. But, some others are specialized and can be used for some specific purposes. Fixed spool reels are available in a huge variety of sizes, configurations, and colors. Some have rear drags, some have front drags, some have double handles, and some have single handles. Fixed spool reel is a great all round reel. You can use it for various fishing purposes such as float fishing, match fishing, specimen fishing, trotting, lure fishing, or lagering. Thus, this is the most versatile reel available on the market. Fixed reel is very versatile, so it is very easy to use them. They are coming with extra spare spools, which is helpful for holding different strengths of fishing line. These types of reels are also reliable and they provide you great value for your money. A well-fixed spool reel will surely last for years. They do not require any service. You will never encounter a problem if you use these types of reels. Same as standard fixed spool reels, they are coming with the latest designs. They also have an extra drag system. When switched on this extra drag system, it will allow the spool to turn at a set amount of tension. Compared to standard fixed reels, free spool reels are larger and heavier. They are used for casting long distances and fishing big fish. These types of reels can provide you ultimate control in flowing water. Thus, you can use them for years of superb river float fishing. These are specialized tools, which are mainly used by river anglers. They are extremely light, so they can be held all day very easily. Casting them is very easy, so they are ideal for entry level anglers. All fixed reels will have a drag system. Some are available on the front, but some are adjustable on the rear. 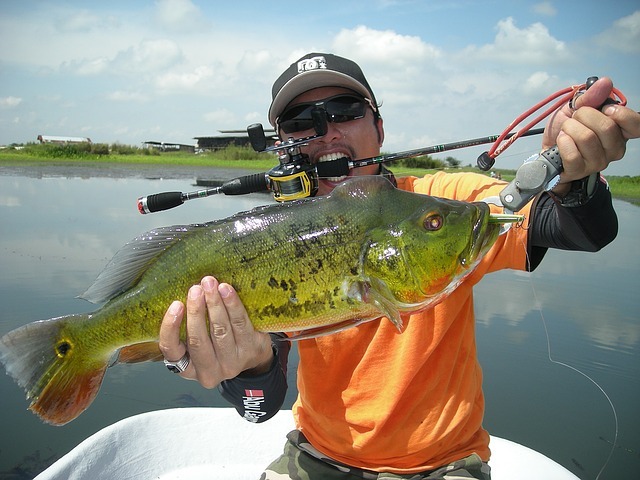 Reels with rear drag system are more popular because they provide more pleasure to the anglers. But, both these drag system offers the same function. They loosen or tighten the movement of the spool. The loosest setting allows the spool to rotate easily. Thus, the fish can pull the line from the reel with ease. The tightest spool will lock tight. Thus, the line can snap before the spool gives any line. Bearing determines the smoothness of the reel. It is also helpful for increasing the lifespan of a reel. They absorb a majority of the wear and tear of the moving parts inside the reel. Therefore, you should also check the line lay, line clips, retrieve ratio, and reel handles while purchasing a reel. While purchasing a fishing reel, you should always check the comfort level and cost. The reel must perfectly fit your fishing style and performance.